The Legislature remains in recess with regular sessions resuming Sept. 5. Rather than votes this report contains some interesting or noteworthy recent bill introductions. Introduced by Sen. Kenneth Horn (R), to authorize using a portion of the revenue from various state taxes to give subsidies to the organizers of certain “large events,” which could include national or international conferences, conventions or sports events expected to attract visitors from outside the state. 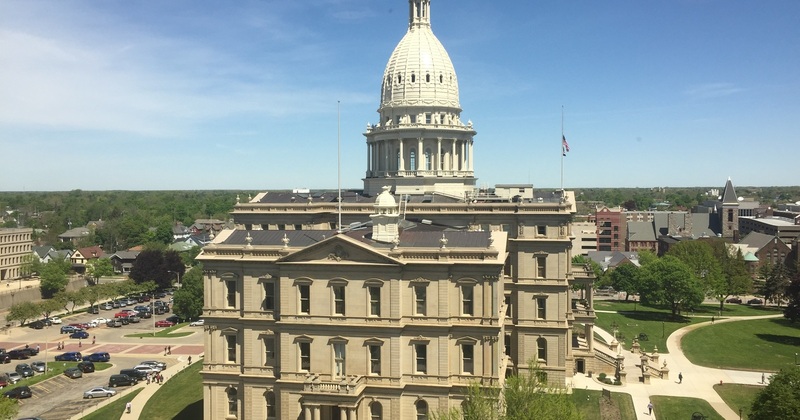 Senate Bills 1066 to 1068 would earmark a portion of state sales, use and liquor tax revenue to pay for the subsidies, which would first pass through local bureaus or organizing committees. Referred to committee, no further action at this time. Introduced by Sen. Mike Kowall (R), to impose a registration mandate on persons who sell live, nonnative aquatic species. The bill would also tighten restrictions on activities of boaters and anglers that facilitate invasive species introductions, including an explicit ban on releasing baitfish. Referred to committee, no further action at this time. Introduced by Rep. Robert Kosowski (D), to require that schools with a very high proportion of students from low income families must offer free breakfasts to students using “a serving model that best suits the pupils enrolled.” The bill labels this a “Breakfast After the Bell Nutrition Program,” which means food would remain accessible after the school day begins. Referred to committee, no further action at this time. Introduced by Rep. Patrick Green (D), to revise the definition of “restraint” in the mental health code to include drugs that are “not required to treat a diagnosed medical symptom.” Current law imposes strict limits and conditions on “restraints” used to manage behavior that poses a safety risk to the individual or others. Among other things the bill would make using drugs a last resort after physical restraint, and prohibit using both at once. Referred to committee, no further action at this time. Introduced by Rep. Michael Webber (R), to grant a $1,000 deduction from the sales tax owed on the purchase of an “alternative energy vehicle,” and higher amounts as the size and weight of the vehicle increases. Referred to committee, no further action at this time. Introduced by Rep. Hank Vaupel (R), to mandate that liquor stores must post signs warning about drinking alcohol during pregnancy. Referred to committee, no further action at this time. House Bill 6098: Impose licensure, schooling, regulation, fees and more on “art therapists"
IIntroduced by Rep. Abdullah Hammoud (D), to impose licensure, regulation, “apprentice” requirements, examinations, college degree prerequisites, $200 application and “examination” fees and $100 annual license fees, and more to enter the occupation of “art therapy.” The bill would create a Michigan Art Therapists Board comprised of incumbent providers to devise additional requirements that new entrants must meet, or waive some requirements for certain individuals. Referred to committee, no further action at this time. Introduced by Rep. Jim Runestad (R), to require insurance companies to provide auto insurance policies that permit a senior with Medicare health coverage to choose a less costly personal injury protection benefit with a deductible of up to $50,000, rather than the unlimited medical benefits that are mandated by the state no-fault auto insurance law. Referred to committee, no further action at this time.